Several major river systems flow through the Pacific Northwest. The Rogue River, in Oregon is a simple river system that flows directly from the Cascade Range into the ocean, whereas the rivers in Idaho are more complex. The Salmon River, including the Middle Fork, Main and Lower sections, begins and ends within the rugged Sawtooth mountains of Idaho - all within the Frank Church Wilderness - the largest wilderness area in the lower 48 states. The Snake River begins farther east in the high peaks of the Yellowstone and Teton. The Snake River picks up the Salmon River along the west border with Oregon and then flows into Washington state just before merging with the Columbia River flowing in from British Columbia, Canada. Rivers in Idaho cross the map like Interstates in Jersey - but they're more serene, and perhaps more exciting too (in a good way)! Lewis & Clark first dubbed the Salmon River the "River of no Return". Now rafters return to the Salmon every year on three different sections: The Main, the Middle Fork, and the Lower Salmon. The Snake River collects the Salmon along the western border in the deepest river gorge in North America, Hell's Canyon. These rivers run through the forested and high desert mountains of Idaho where the Nez Perce, the Shoshone, and the Blackfoot Indians once roamed. 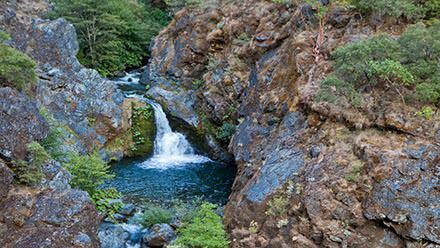 Oregon's Rogue River conjures up tales of adventure and rugged, remote living in a classic western landscape with an abundance of wildlife and whitewater. Oregon itself is a scenic wonder from the cliffs along the coastline, to the glacial-capped volcanoes of the Cascade Range and the bottomless depths of Crater Lake. Rafting the Rogue can be a unique experience with the lodges and cabins that can be used each night to host intrepid river rafters after a day of challenging the whitewater. 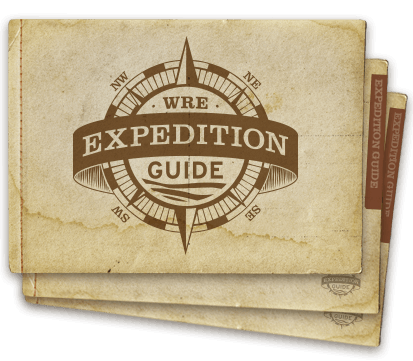 Request a comprehensive Expedition Guide for any Western River Expedition in Idaho or Oregon. You'll get full itineraries, maps, packing lists and everything you need to plan an unforgettable rafting adventure in the Pacific Northwest. The Main Salmon River can be a whitewater volley in the earlier season when the snowmelt first begins. Rafting trips on the Main begin around the end of June, and run through September. 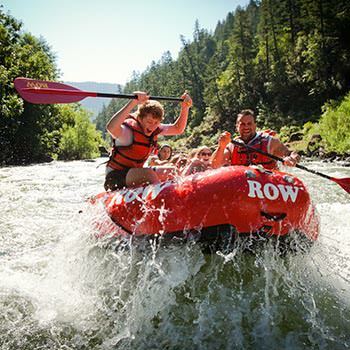 As the water mellows, it becomes an inviting river trip for younger kids or first-time rafters. The Main Salmon is always a mountainous eye-full with verdant canyon walls and vistas, mixed with warm sandy beaches and cool babbling brooks. This trip begins in Salmon, Idaho and ends in McCall, Idaho. Guests typically take a shuttle from Boise, Idaho to Salmon where the trip begins, and return to Boise from McCall once the trip ends. The Lower Salmon river picks up where the Main Salmon trip ends (more or less). The Lower Salmon offers rapids that are always exciting and fun, but perhaps more consistently suited to the younger kids and first-timers than any other river in the Northwest. 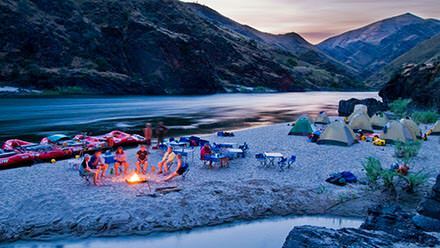 The Lower Salmon is often billed as the one for families to experience the "family magic" of having the kids along to enjoy broad sandy beaches, warmer water, and a diversity of canyons to explore on the way toward the larger Snake River. This trip begins and ends in Lewiston, Idaho, making it one of the easiest trips in Idaho, logistically.